The transplant imaginary is very much a moral domain. Surgeons, patients, health activists, and many in the general populace understand human organ transfer as beleaguered by intense shortages, where the gap between supply and demand increases each year. Transplant specialists are driven nevertheless by the desire to alleviate human suffering by replacing patients' diseased organs with those derived from other bodies, pushing ever higher the number of patients on waiting lists for replacement parts. These surgeries have become so commonplace in some hospitals as to generate a discourse of patients' rights among those who suffer from acute or chronic-and often inevitably terminal-forms of organ failure. The field itself is readily and widely imagined as plagued by unwarranted suffering, where concerns may focus nearly exclusively on the needs of dying patients yet not, for instance, on broader health disparities that shape the calculus of heart or lung disease, liver failure, or diabetes, on the circumstances of donors' sudden or even violent deaths, or on the often insurmountable, lifetime costs accompanying the promise of a "second life" won through the transplantation of a new organ. When framed this way, organ transfer is rife with "if only" statements: if only there were more willing donors; if only presumed consent legislation could prevail; if only viable, alternative sources existed for scarce human body parts. These sorts of "if only" or "what if" statements lay bare professionals' anxieties that then drive the transplant imaginary. As Thomas O. Beidelman (1993) has detailed,, the "moral imagination" as a social process materializes during moments marked by confusion and cultural dissonance. A hallmark of the moral imagination is its open-endedness, where resolution may prove impossible or even seem irrelevant. Beidelman examines the particulars of this process within Kaguru society in East Africa, demonstrating how discordant events, eccentric behaviors, and provocative mythological creatures stimulate moral questioning and debate. Although some readers here might consider Kaguru sentiments irrelevant to their own lives, one need only consider recent works by Julie Livingston (2005, 2012) on debility and oncology in southern Africa, or Mary-Jo DelVecchio Good's (2001) research within an oncology ward in the United States, to grasp the elegance of Beidelman's notion of the imaginary and how beautifully it translates to both clinical and laboratory contexts. Indeed, one encounters significant overlap in these seemingly disparate domains. Be it limited services for the homebound, the unknown outcomes of new treatments for cancer patients, or the shortage of transplantable parts for those dying of organ failure, unpredictability, uncertainty, and the unknown are quotidian aspects of life. These sorts of circumstances inspire moral reasoning and the politics of hope. Throughout The Transplant Imaginary, I strive to "surface" (Taylor 2005)-so as to probe and analyze-the "affective dimensions" (DelVecchio Good 2001) of two morally provocative "clinical borderlands" (Mattingly 2010). 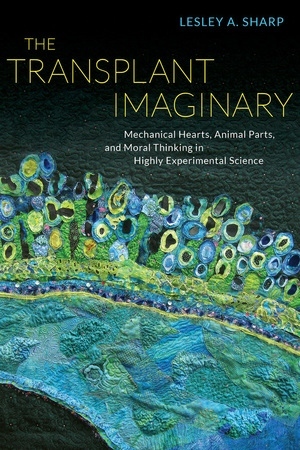 The richness of the transplant imaginary is facilitated by its highly experimental nature, where scientists at work on either xenografting or artificial organ design must embrace as givens that research outcomes are open-ended, that future successes are difficult to predict, and that the experimental process presents extraordinary challenges at nearly every turn. Some might go so far as to say that involved researchers are at work on the impossible, yet they forge ahead even when confronted with constant failure. Perhaps a device is plagued by coagulation problems; immune system responses to foreign tissue are persistently "hyper-acute"; lab researchers disagree on which design is best; or citizens' groups successfully push through legislation that blocks further research. Scientists in both domains are nevertheless united by the shared conviction that alternative organ replacement is a life and death matter, their imaginations fueled by a persistent longing to eliminate organ scarcity and human suffering. In those instances where "if only" and "what if" questions arise, they imagine alternative futures infused with such moral sentiments as suffering, hope, and experimental desire (see Sharp 2009). Xenografts and bioengineered devices currently dominate the transplant imaginary, and today no gathering of associated specialists is complete without the staging of lively discussions and plenary events that promote the promissory nature of these two highly experimental alternatives. Efforts from within xeno science and bioengineering dominate transplant-related discussions regarding imagined near and distant futures (Guyer 2007); in turn, they have also informed and responded to celebrated advancements in allografting. Both xeno and bioengineering, for instance, have long defined fertile ground for testing various procedures in animal models before attempting them in humans, with surgical efforts extending back a full century. These two fields also boast overlapping professional genealogies: for instance, Alexis Carrel-perhaps best known for his breakthroughs in vascular surgery-was deeply involved in transspecies grafting at the onset of the twentieth century; only a few decades later, he designed an important precursor to the heart-lung bypass machine in partnership with aviator Charles Lindbergh (D. Friedman 2007), a partnership I will investigate more thoroughly in chapter 3. The foundational knowledge that informs the transplant imaginary is inextricably linked to efforts made within these two experimental domains. For instance, all surgeons who are regarded as founding ancestors of organ transplantation engaged at some point during their careers in xenotransplant research as well. Prior to the first successful kidney transfer between identical twins in Boston in 1954, numerous similar surgeries were attempted involving sheep, dogs, and a range of primates. As I will demonstrate in chapter 2, the 1960s define an especially active experimental period, when organs derived from sacrificed chimpanzees were transferred to the bodies of several deathly ill humans. (Needless to say, few of these patients survived for very long following such radical surgeries.) In turn, a wide assortment of artificial (and primarily excorporeal) devices designed by engineers regularly assist clinical efforts to sustain patients awaiting transplants. Whereas a hemodialyzer, ventilator, VAD, and even surgically employed bypass machine are all understood by involved surgeons as effective "bridges" to transplant and thus as temporary forms of life support, bioengineers celebrate these same devices as innovative "artificial" kidneys, lungs, and hearts that can augment or even fully replace diseased natal organs. This alternative logic informs engineers' ongoing efforts to refashion, reinvent, and miniaturize a wide range of experimental hardware that could be fully implanted in human bodies as "destination" or permanent therapies. These innovations could render patients ambulatory and free from cumbersome alternatives that currently necessitate being tethered to much larger-and often immobile-machinery as they struggle to stay alive in anticipation of a transplant. As I seek to demonstrate in this current chapter, moral thinking abounds in transplant research, although it follows different paths among involved xeno experts and bioengineers. A premise that drives my work is that moral thinking, though frequently downplayed or silenced, is intrinsic to scientific decision making, and this is especially true in research domains that are highly experimental. As Thomas Kuhn (1962) so adeptly argued half a century ago, the formulation and, in turn, acceptance of scientific ideas as "truths" together emerge through a dialectical process involving sometimes quite prolonged periods of contestation, struggle, and crisis that might later generate paradigmatic shifts. If, in following Kuhn, one embraces the notion that dynamism rather than stasis characterizes scientific inquiry, then those endeavors understood as highly experimental might well be viewed as science in hyperdrive. This is not because the associated laboratory work itself is fast-paced (in fact, to an outsider its progress may seem sluggish at best). Yet the shifting quality of ideas, theories, and relevant outcomes are by very definition in a state of flux during highly experimental pursuits, and this is especially true when work is suffused with personal doubt, potentially insurmountable technical obstacles, a shortage of investment capital, and broader social concerns or, even, disapproval. In these contexts, ideas constantly undergo rigorous redesign, retesting, and reanalysis, only to loop back and start again in response to evolving challenges, flaws, and failures. In other words, experimental science is at its heart a tentative enterprise. I maintain that these sorts of conditions engender an especially ripe environment for moral thinking precisely because theories and outcomes-set alongside their intrinsic social value-have yet to gel. If transplant medicine itself is driven by "if only" desires, xeno and bioengineering research are framed by questions of "what if": What if we could circumvent the need for human organs? What if the immune system could read animal flesh as human? What if a fully implantable mechanical device could function as well as or exceed the abilities of a natal organ? The broadest response would be that potentially all patients could then be guaranteed a second lease on life. These imaginings focus simultaneously on contemporary suffering and on the promises of science in the longue durée. In turn, they transform experimental work into a moral enterprise precisely because outcomes are subject on some level to conjecture, and thus they remain indeterminate and obscure. Barbara Koenig, writing of the "technological imperative" in biomedicine (1988), demonstrates how in American settings bioethical thinking is muted or neglected and then rendered obsolete once technological innovations become routinized clinical practices. In contrast, I argue that moral thinking abounds in domains marked by apprehension, doubt, and uncertainty, and perhaps nowhere is this more prevalent than during highly experimental phases of scientific research. A key question, of course, is what counts as morality or, more precisely, moral thinking in science? (For the moment I conflate the terms "morality" and "ethics," only to draw distinctions between these later.) My investigation of scientific morality was originally inspired in large part by Paul Brodwin's earlier work (2000) on the ethical parameters of biotechnologies. Although Brodwin and his coauthors devote much of their attention to encounters with biotechnologies within primarily noncosmopolitan settings, Brodwin's approach is equally relevant to the very scientists responsible for designing such technologies. As he demonstrates, anxieties uncover, mark, accompany, and generate ethical thinking regarding biotechnical interventions, and his method of framing has taught me as an ethnographer to pay close attention to those moments when subjects' anxieties surface. As I learned during earlier work on human organ transfer, sometimes the richest data emerge at moments of fracture, contestation, paradox, doubt, and debate. I offer this important caveat, however: I am not proposing that one root out disagreements in search of compelling data. Instead, it is the unpredictable and serendipitous nature of such moments that renders them so interesting, especially in regard to sentiments that run contrary to orthodox ideas-or what Pierre Bourdieu (1994) identifies as doxa. This is where moral thinking abounds. As moral thinking "surfaces" (Taylor 2005), it reveals richly textured yet otherwise obscured facets of a scientific imagining of the sociomoral parameters of transplant research, the ethical use of human and animal subjects, the boundaries of the "natural" body, and the promissory qualities assigned to futuristic medical pursuits. If paradox, contestation, and debate are intrinsic to the transplant imaginary, how then might moral thinking be identified and categorized? Among the greater hurdles to such an investigation is that contradictory moral frameworks can, and often do, coexist in experimental science, not only because they predate and inform paradigmatic shifts but also because xeno and bioengineering each encompasses a wide array of disciplines (including virology, immunology, veterinary medicine, surgery, structural engineering, fluid dynamics, and bioartificial design). Moral thinking across these two domains is therefore extraordinarily complex precisely because the ground beneath is varied and, further, is constantly shifting. Like Bruno Latour, I am deeply intrigued by the "circulating reference[s]" (1999a) that, in this instance, flag moral thinking. As we shall see, these include the values assigned to body integrity, human and animal subjects, technologies of human design, and even time itself. Just as a dedicated astrophysicist might also be a devout Catholic, so too might a xeno researcher assert certain principles of animal sentience and pain sensation while still employing a range of intelligent creatures in his or her research; elsewhere this same scientist might oppose colleagues' use of certain mammalian species over others in the name of scientific rigor. Similarly, a bioengineer might celebrate the inventiveness of a pulseless artificial heart whereas others regard this same innovation as inherently unnatural, physiologically dangerous, and unfit for human use. I offer these examples as evidence not of confusion or hypocrisy within these two fields but, rather, of the variegated nature of corresponding moral values. As my research reveals, individual experimental scientists may well move freely and comfortably across different moral registers. If asked point blank to discuss the significance of morality in science, common responses include silence or puzzlement; yet elaborately complex answers emerge when scientists describe the sociomedical value of their research, their efforts to justify their work to nonspecialists, or why they persevere knowing that their work may not reach fruition in their own lifetimes. Those whom I have interviewed regularly provide thoughtful-and thought-provoking-answers to how they think about the social value of such work (or, as activists I have interviewed prefer to phrase it, how they manage to sleep at night, knowing what they do). Given the wide array of responses, it can be difficult to follow the anthropological rubric for detecting patterns of thought and behavior. Yet what most intrigues me about xeno and bioengineering as realms of experimental science is not the either/or of competing sentiments (that is, what one should or should not do) but, instead, the complex, contradictory ideas that emerge from the spaces that lie in between these sentiments (see Brodwin 2013). As I will demonstrate later in the two subsequent chapters, this in-betweeness signals a serious grappling with moral ideas, spurred on by (though perhaps sometimes sublimated) anxieties about the sociomoral value and consequences of projects intent on transforming human bodies in unquestionably radical ways. An investigation of "morality" or "moral thinking" in science poses certain kinds of problems within domains whose practitioners are intent on bracketing out morality. As scientists from a range of disciplines inform me, "morality" is the purview of religion and philosophy and has no place within science, a sentiment inevitably exacerbated in the United States, at least, by highly polarized evolutionist/creationist debates that arise in some quarters. I nevertheless maintain that scientists regularly frame their work in moral terms, and that experimental contexts often instill heightened moral alertness. If efforts within experimental transplantation are driven by the desire to alleviate human suffering, then such work is framed from the very start as a moral enterprise. My investigation overlaps with what some identify as the relatively new "ethical turn" in anthropology (Faubion 2011; Fischer 2001; Heintz 2009; Howell 1997; Laidlaw 2002; Lambek 2010; Zigon 2008), involving efforts to move beyond a longstanding interest in moral systems (a foundational concern in anthropology) employed as a means to detect "normative" and, thus, established systems of thought and behavior. In contrast, those whose scholarship informs the ethical turn perceive morality not as a static category but as a dynamic social process, and associated authors focus most keenly on moments where moral predicaments arise (see especially Heintz 2009, 1-19; Howell 1997; Zigon 2008). Yet another concern involves probing how moral philosophy itself might enrich the ethnographic enterprise (and, as philosopher Michael Banner's recent work [forthcoming] demonstrates, how anthropological theory and ethnographic methods might inform moral philosophy; see also Mol 2008; Pols 2012). Whether such an approach within anthropology itself is indeed new is debatable: one need only consider the joint effort of May and Abraham Edel (1959) to encounter a much earlier attempt to wed anthropology to philosophy. Nevertheless, central to the ethical turn are questions regarding how individuals make moral decisions and what it means to be a moral person within particular cultural contexts. Certain overarching concerns drive such work, and I summarize these briefly below before I delve into my own project. First and foremost, human beings are understood as inherently moral creatures who live and cooperate with one another across fields of experience. Anthropologists have long been intrigued by codes of conduct-or those diffuse institutions that fall under such labels as "culture," "law and society," "social structure," and "ethos" and that may simultaneously pervade social, economic, and political spheres. James Laidlaw (2002) and others (see Zigon 2008; Faubion 2011) readily acknowledge the influential pull of Emile Durkheim in fostering this approach, one that has long been a bedrock for much of British, French, and American anthropological analyses of moral systems.According to Laidlaw, Durkheim's writings and influence "reveal the disabling consequences of identifying the social with the moral as he did. Durkheim's 'social' is, effectively, Immanuel Kant's notion of the moral law, with the all-important change that the concept of human freedom, which was of course central for Kant, has been neatly excised from it" (312). As Laidlaw insists, anthropologists are bogged down by the weight of Durkheim's legacy, remaining unimaginative where conflict, dilemmas, transformation, or personal agency are concerned (313; see also Heintz 2009, 2). In response, Laidlaw and others probe ethical behavior and action not in pursuit of established principles and values but as evidence of social processes, where moral behavior emerges from turmoil, confusion, and contradiction, and where, for Laidlaw in particular, agentive acts and associated "freedom" are possible (322; after Foucault 1984). Furthermore, outcomes may not be clear and neat but messy and open-ended. Monica Heintz (inspired by Laidlaw) similarly explains, "moralities are entangled within social action and as such are difficult to pinpoint and analyze" (2009, 3). Evidence of this is most likely to surface when studied ethnographically (Laidlaw 2002, 322; see also Lambek 2010), an extraordinarily important point to which I return below. Though not readily acknowledged in this recent literature, similar concerns are indeed detectable in early ethnographic projects. Whereas Laidlaw regards Bronislaw Malinowski (1926) as a notable exception-thereby faulting the discipline for its lack of both a "sustained debate" on morality and a "sustained dialogue with moral philosophy" (Laidlaw 2002, 311, 312)-a range of canonical scholarship nevertheless demonstrates anthropological interest not simply in morality but in moral conflict. Margaret Mead (1935) and Ruth Benedict (1934), for instance, both wrote widely about outliers and misfits in Austronesian and Native American contexts, as did Durkheim even earlier ( 1997) in his work on suicide in France. E.E. Evans-Pritchard (1937), in turn, targeted moral dilemmas when he documented efforts among Azande to detect and counteract subversive acts of sorcery, and Gregory Bateson's (1958) framing of eidos and ethos in his analysis of Iatmul Naven rituals anticipated current efforts by more than half a century. Max Gluckman (1963) and Victor Turner (1967) also generated important scholarship regarding moral responses to conflict, the former addressing the Mau Mau insurgency in colonial Kenya , the latter regarding what to do with a deeply troubled-and troublesome-Ndembu patient in what is now Zambia. In other words, morality tales abound in the anthropological canon, though they may remain undetected because they have not been labeled as such. Whereas one could claim that, in each case, these foundational authors strove to identify clear pathways to social equilibrium or, at the very least, temporary harmony, all also reveal that moral dilemmas have long captivated anthropologists and how morality itself can be a very complex and even unresolvable affair. If this literature tells us anything at all, it is that morality-as social thought, action, and process-defines a domain worthy of more focused anthropological attention. Those who claim the mantle of the ethical turn frequently argue for the enrichment of anthropology by drawing on an established canon within moral philosophy itself. I am not so interested, however, in promoting a particular philosophical framework as I am with the much broader question of what qualifies as or exemplifies moral thinking and action in two related scientific contexts. As I have discovered, scientists themselves express sometimes wildly different principles steered by highly divergent moral compasses. They are, in short, highly eclectic. Among a host of specialists, I have encountered, for instance, utilitarian, existentialist, libertarian, humanist, Hindu, Jewish, and Catholic arguments for why certain pursuits are moral and others are not, and even individual scientists sometimes provide a dizzying array of ideas that might well exemplify contradictory philosophical frameworks (simultaneously embracing, for instance, universalist principles of the sanctity of the body while insisting on its commodification). Competing political sentiments muddy the waters even more: within a single lab, conference panel, or organization, one meets libertarians, leftist social reformers, and hawkish militarists. As an ethnographer, I recognize that varying sentiments offer evidence not of moral confusion (or ineptitude) but, rather, of the complexities involved in determining how best to practice virtuous science long before successful outcomes are in sight. That is, while working in highly experimental contexts, involved scientists must envision or imagine a host of futures-or what Nikolas Rose (2007) identifies as the inevitability of "multiple histories" (252)-and, in so doing, devise fairly flexible moral principles that assuage their struggles with the unknown. Yet another source of confusion is the language of the ethical turn. A significant impediment concerns the frequent elision of "morality" with "ethics," a strategy borrowed from moral philosophy itself, where the two terms are often used interchangeably. Anthropologists engaged in the ethical turn have made several attempts to delineate differences between the two, most often employing "morals" to circumscribe normative behavior (that is, what, in any given cultural field, defines what one ought to do), whereas "ethics" designates a more serendipitous process of moral decision making, especially in those instances when actors are faced with contradictions that demand moral consideration. Sadly, though, there is little agreement here, and at times these terms, and their definitions, are reversed. In light of this, allow me to clarify what I mean when I speak of morality in science. Studying questions of morality specifically within transplant-related domains is complicated by the presence of bioethics. Today, bioethics asserts a rather comprehensive presence within science and especially laboratory-based research, proffering a set of universalist principles that guide (and even dictate) what one may or may not do with or to both human and animal subjects. During the course of my interviews with scientists, bioethics surfaced regularly: when I would describe the focus of my research, "moral concerns" were rapidly converted into a set of solid, and highly static, categories most reminiscent of Tom Beauchamp and James Childress's (1979) four-principle approach-known as principlism-involving autonomy, nonmaleficence, beneficence, and justice. If we follow Laidlaw's argument that anthropology is hampered by its preoccupation with normative codes of conduct, biomedicine and related domains of scientific research are hopelessly hemmed in by this strident set of four principles. Interestingly, the scientists I encountered generally proved well-versed in this approach, one that then shapes rigorously imposed requirements for grant applications within public and private foundations and universities, alongside now ubiquitous online training and certification programs (especially in the United States). The beauty of this method is its universalism (human subjects are entitled to certain rights and protections across a range of fields) and simplicity (involving a neat set of terms that are easy to remember). Most intriguing is the ever-widening reach of a discipline that is only a few decades old. In addition, I was surprised by the ubiquitous application of the four bioethical principles to science based not only in the United States but also in Canada, the United Kingdom, New Zealand, and Australia. This would not have been the case as recently as fifteen years ago. In other words, bioethics (at least in the guise of the model originally espoused by Beauchamp and Childress) is now pervasive, referencing codified and thus standardized or established categories that dictate moral conduct in the laboratory and beyond. This is precisely what I am not interested in pursuing in the course of this volume; therefore, I myself use "ethics" exclusively to refer to bioethical principles. (I will be careful to specify those instances where I cite authors who use "ethics" and "morality" interchangeably.) Whereas bioethics most certainly clarifies what one must or must not do with human and animal subjects and, further, how one needs to justify one's research in terms of medical and social outcomes, my own line of questioning instead concerns the "what if" quality of the transplant imaginary as focused intently on a prophetic future. My research asks more open-ended questions, such as: What sorts of social transformations do xeno scientists long for in their efforts to generate interspeciality? What values inform decisions to employ a chimp, baboon, or pig as an ideal "source" or "donor" animal? What renders the body more natural or unnatural when whole "natal" organs are excised and replaced by "artificial" parts of human design? 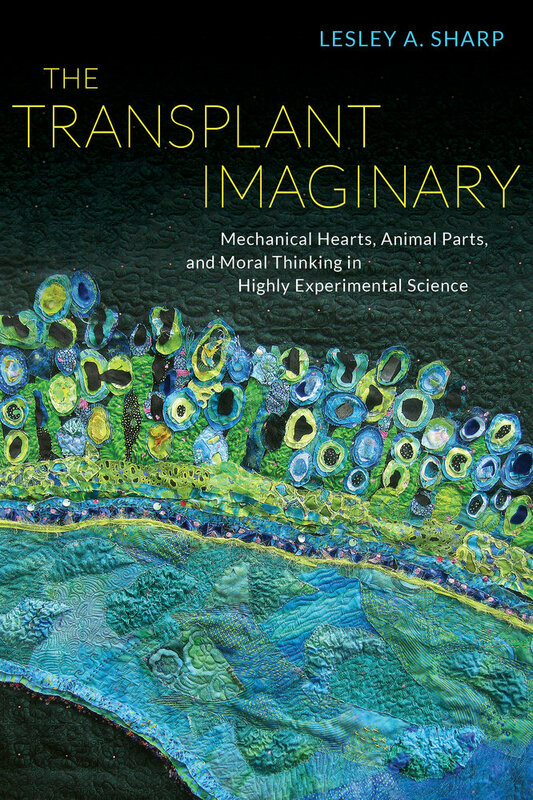 What sorts of celebrations, accomplishments, dilemmas, confusion, and suffering inform scientists' values regarding the lives of patients who will someday embody animal organs or mechanized replacement parts? And why pursue xeno science or bioengineering at all when their long-term consequences remain unclear? This line of questioning is a far cry from the four-pronged bioethical approach of autonomy, nonmaleficence, beneficence, and justice. Although principlism provides a neat analytical framework, I am far more intrigued by the messier circumstances involving sometimes unsolvable dilemmas, or those processes that Beidelman (1993) has described as the workings of the "moral imagination," a domain comprising human efforts to achieve clarity in the face of disruption, disorder, paradox, or bewilderment (see also Zigon 2008). Whereas Beidelman tracks how moral thinking responds to adversity and even to those contexts where resolution may be impossible (see Livingston 2005), his framework is equally effective under less trying circumstances. The richness of Beidelman's approach is that it offers a compelling alternative to anthropology's long-standing interest in normativity, and to bioethics' reductionism, by probing the imaginative dimensions of morality-in-the-making. Following Beidelman's lead, my project gravitates not to the center but to the boundaries or tentative zones of science, where experimental ideas, products, and associated values proliferate. In the spirit of Michael Lambek's work, too, I am most concerned with that which he terms "ordinary ethics" (2010, 1-36), or those moral processes ubiquitous in daily life yet all too often unmarked as such because of their quotidian nature (see Brodwin 2013). As Lambek explains, "the ordinary is intrinsically ethical and ethics intrinsically ordinary" (3). This is precisely why ethnography is so essential, because it "supplies case material that speaks to the urgency and immediacy yet ordinariness of the ethical" (4). My project differs, however, from Lambek's broadest goals in that I deliberately probe domains that are clearly in flux (an approach, I admit, that can render an investigation both exciting and disorienting). Because moral framing has yet to be "routinized" (again, see Koenig 1988), the ground is never solid in experimental contexts, where potentially no two scientists imagine the value or virtue of animals, human bodies, or experimental products in precisely the same way (see Mol 2002). Experimental domains such as xeno and bioengineering enable pronounced levels of "freedom" of thought (Laidlaw 2002) or, as laboratory scientists themselves like to say, opportunities to "think outside the box." Under such conditions, it becomes possible to track morality-in-the-making in science, where the values that emerge inform the thoughts and actions of a spectrum of scientists focused on a distant-and frequently idealized-future where organ scarcity and human suffering become obsolete. Organ transplantation is a strange domain in that it requires the excision of presumably healthy parts from the living or the dead so that they may then be transferred to the bodies of seriously ill patients. Transplant's uncanny nature informs widely expressed sentiments regarding its miraculous qualities: surgeons are frequently described as "miracle workers"; the kin of deceased donors imagine their loved ones "living on" in others; living donors speak of a newly forged intimacy with those whose bodies now house their transferred parts; and organ recipients often describe post-surgical life as a "rebirth," a "second chance," or a "second lease on life," turns of phrase that signal how blessed they are to have escaped otherwise terrible fates (Sharp 2006b). These sorts of sentiments define the more visible aspects of the complex moral realm that circumscribes organ transfer in the United States and, increasingly, abroad. As I describe in detail elsewhere (Sharp 2001, 2002b, 2006b), sentiments and associated behaviors within organ transfer are guided by a set of ideological principles regarding the social values assigned to presumably noncommodified body parts, the transformative experiences associated with the embodiment of organs derived from the living and the dead, the naturalness of such transfers, and anxieties that focus on ever-increasing shortages of what are understood as reusable body parts (Sharp 2006b, 7-24). Organ transfer is rife with official rhetoric that celebrates organ donations as the extraordinary acts of altruistic strangers, organs themselves as gifts that require no reciprocation, and transplant surgery as a medical procedure whose prowess overshadows its short- and long-term economic, clinical, and social consequences. The paradoxical nature of this sociomedical realm is evident in the fact that these highly standardized principles can effectively silence competing or subversive sentiments, including shared desires among recipients and the kin of deceased organ donors to seek out one another; the all-too-frequent lifetime suffering of patients who struggle with the physiological effects and financial burdens associated with daily doses of exorbitantly expensive and potentially toxic immunosuppressants; and widespread social ambivalence regarding clinically orchestrated forms of death, the surgical violation of the integrity of donors' bodies, and the eerie sense that transplant survivors' lives have been saved, extended, or enhanced with fleshy parts acquired from the dead (Sharp 2006b, 25-27). Set against these disquieting concerns stand the bold alternatives of xeno and bioengineering, two fields that simultaneously embrace the legitimacy of organ transfer while offering alternative solutions that could effectively nullify a range of social obstacles. Whereas scientists working within these two domains may be unaware of the full range of social anxieties outlined above, their work is driven nevertheless by a profound sense of the suffering endured by patients awaiting organs that may never materialize, a scarcity understood as a significant cause of widespread, unwarranted deaths that result from organ failure. This is readily evident, for instance, in the pronounced focus on pediatric needs, where sickly young children and infants might figure prominently in PowerPoint presentations outlining recent experimental advancements. Other presentations underscore opportunities for patients with refashioned bodies to return to their families, workplace, and other hobbies and passions if and when experimental breakthroughs occur. These two experimental domains are rife with hope, possibility, and promise. Because they circumvent the current reliance on parts of human origin, they are also imagined as eliminating the wide spectrum of ethical dilemmas that currently plague transplant medicine, such as how most fairly to distribute scarce resources. In short, xenotransplants and artificial organ design are understood as wiping the moral slate clean. Such is the surface logic of experimental transplant science, one that frames current endeavors as intrinsically virtuous. Laced throughout both domains is the widespread sense of awe and wonder, or their "what if" promissory qualities. Involved scientists are captivated by the possibilities embodied in simians and pigs (as source animals in xeno), alongside calves and ewes (as test subjects for mechanical organs), and the level of human ingenuity capable of redesigning organs as complex as the heart, lung, liver, pancreas, and kidney. Such sentiments extend beyond the laboratory's walls, too: both xeno and bioengineering are featured widely in the press because of the alternative futures each heralds for transplantation. Bioethicists have repeatedly probed the disquieting social consequences of each, although xeno receives far more attention than do mechanical implants (an issue I return to below) (see Archer and McLellan 2002; Birmingham 1999; Caplan 1992; Donnelley 1999; Faulkner and Kent 2001; Gil 1989; Gorovitz 1987; Koechlin 1996; NCB 1996; Schlaudraff 1999). Yet bioethicists' concerns are frequently bracketed out from scientists' discussions, sentiments among the latter more readily foregrounding human ingenuity as the key to overcoming the potential dangers associated with their respective projects. My overall goal is to probe beneath this seemingly impenetrable layer in an effort to reveal the complex, and often troubled, deeper moral logic that informs these extraordinary experimental efforts. Within these contexts, Latour's (1999) notion of the "circulating reference" proves helpful as a means to foreground concepts shared across disciplines yet whose polyvalent qualities emerge when scientists must cooperate to settle troubling questions. Whereas Latour's example tracks how specialists apply knowledge and tools from disparate fields to identify where, precisely, a Brazilian forest ends and a savannah begins, I strive to uncover those moments of disjunction, often anchored to specific "boundary objects" (Star and Grieseman 1999), that inspire moral thinking among researchers generally confined to laboratories. Of special significance within experimental transplant research are animal and human subjects, genetically altered creatures, devices of human design, and the human body itself. As I will demonstrate in the final pages of this chapter, specialized moral concerns reference the body's integrity, the sociomoral value of hybrid forms, the meaning of suffering, and the temporal qualities assigned to experimental work. In De humani corporis fabrica (On the Fabric of the Human Body) by the Renaissance anatomist Andreas Vesalius (1973, originally published in 1543), one encounters an array of human bodies. One well-known image depicts a cadaver undergoing dissection, laid out on a table surrounded by a bustling crowd of onlookers assembled there to witness Vesalius at work as he conducts an autopsy. But Vesalius had grander plans, generating a host of exquisitely rendered drawings of male cadavers. Some images feature flayed bodies, their interiors vulnerable and exposed to the elements, but more often these cadavers have been fully stripped of their skin and, assuming various animated poses, display very particular aspects of human anatomy. One figure is composed of pure musculature and appears to dance before a bucolic landscape, its arms reaching out and skyward (figure 1); another consists of a skeleton leaning on a pedestal to contemplate another human's skull (figure 2). Still others include flayed bodies of pure muscle asuming various upright postures, or composed purely of a network of nerves that retain the shape of a man standing erect while appearing to float in mid-air. Each of Vesalius's illustrations enables the viewer to imagine radically different sorts of bodies: the human as all bone, muscle, or nerve fiber. Vesalius proves instructive for revealing the various ways the human body is imagined in contemporary transplant science as well. Not unlike the images in De humani corporis fabrica, within transplant medicine one encounters a body that is an anatomical entity, composed solely of its interior. It, too, can be partitioned in radical ways yet remains in some profound sense whole-even when it lacks essential parts-and vital, even though it is made from that which is now dead. In turn, transplantation would remain impossible if vital organs could not be excised, if human parts were not conceived of as interchangeable, and if replacement parts could not be derived from the dead. These sorts of possibilities emerge because surgery makes it so and because there is widespread social support for such practices. To summarize, the body within the medical domain of organ transfer is fragmented, malleable, interchangeable, and understood primarily by its interior. These principles readily inform efforts within xeno and bioengineering as well. In fact, they are so pervasive as to be taken as unmarked givens in these two experimental domains. Just as transplant science is actively engaged in the remaking of the human form, related experimental efforts are intent on reimagining the body and refashioning it in still more radical ways. Crucial here is the understanding that the body itself is simultaneously malleable and mutable. Within xeno science, for instance, whereas social activists may consider efforts to fabricate genetic hybrids as monstrous, such an approach is fully naturalized within the field itself. It is, in fact, sensible, realistic, and moral to strive to transform humans and/or source animals such that they can be grafted together without incident at the immunological level. Bioengineers understand these principles in yet another way: the human form is inherently flawed, inspiring the efforts of innovative tinkerers who believe that devices of human design could not only replace failing organs but perhaps even surpass the abilities of natal parts. These reimaginings of the human form within xeno and bioengineering offer evidence of beauty, skill, and what we might conceive of as the sublime in experimental science. In this vein, surgery itself can be seen as a naturalized-and routinized-form of medical tinkering. After all, much of surgery involves opening up the body in order to repair its inner workings and then close it up again. Xeno and bioengineering build upon these established sensibilities, and practitioners within each field understand their efforts as extensions of existing practices. As one physicist colleague said in response to my own reflections on bioengineered organs as a radical innovation, "Yes, but we already do this sort of thing all the time. Look at our kids and our students and [how they use] their electronics-we all need to up our game." Such sentiments-though phrased in different ways-shape core understandings for experimental transplant projects, too. The body is imagined in radically different ways in xeno and in bioengineering. Xenotransplants insist on the interspecies cohabitation of human and animal within a single organism, where the favored immunological term chimera evokes images of the provocative refashioning of patients' bodies. In contrast, bioengineering presents its own sort of blended existence, where mechanical devices are described as "implants" and attempts to "interface" the body with a machine. Nevertheless, both transpecies grafts and artificial devices necessitate embodying parts of nonhuman origin, a technological twinning involving either animal or machine as foretold by Donna Haraway's now classic work, Simians, Cyborgs, and Women (1991). Celebrations akin to Haraway's own regarding radical boundary crossings (between human/animal or human/machine) similarly abound in xeno and bioengineering, where practitioners regularly underscore the liberatory possibilities borne by the remaking of the human and, thus, freeing patients from the crises wrought by organ scarcity. Whereas members of the lay public, potential patients, social activists, and some bioethicists may be wary of embodying these radical innovations, xeno scientists and engineers view their efforts as part of a long progression within medicine (and science more broadly) to alter the body by extending, enhancing, and saving lives. One need only consider porcine and bovine heart valves, cochlear implants, hip replacements, and animal-derived hormones to realize the extent to which our bodies are indeed hybrid. Some go so far with such now-ubiquitous practices as the use of electronic devices (ranging from smart phones and lap tops to pacemakers and defibulators) as evidence of how frequently our bodies are hooked up or "jacked in" (Gibson 1984) to a range of technologies. In short, in many quarters the post-millennial body is already a hybridized one because we already willingly interface with all sorts of devices such that our bodies are not our own or exclusively us. The naturalization of the newly fabricated self likewise informs futuristic desires in xeno and bioengineering. Yet that which is deemed most natural generates predicaments, too. As I shall demonstrate in chapter 2, xeno scientists celebrate the monstrous coupling of humans and animals as a desired state of being, boldly exemplified by what today is widely referenced as the chimeric, "humanized" pig. Such constructs destabilize lay understandings of the body's integrity. Xeno scientists are still dogged by troubled histories of earlier, mid-century efforts to implant organs from chimpanzees and baboons into humans, experiments that racialized the boundary of humanness while testing the limits of interspeciality (Sharp 2006a, 2011a, 2011c). Though rarely articulated openly, such efforts mark a deeply troubled moral terrain. Bioengineering faces its own moral challenges, most evident in the denial that inert parts of human design generate any ethical concerns at all (a point I explore in chapter 3). In sum, hybridity exposes moral dangers on multiple fronts, where the starting point flags significant questions about the boundaries of the human body, the importance of guarding its natal integrity, and what in fact qualifies as the "natural" in these experimental pursuits. Amid these celebratory moments is the disquieting effect of the body's erasure. By this I mean not that the physical, tangible aspects of the body escape detection in xeno or bioengineering but, rather, that its subjective properties do. In his work on the "extrahuman world" and the human/machine interface, Michael Jackson (2002, 336) explains that, whereas technologies may seem at times inseparable from us, at others they are uncompromisingly alien. Within the two experimental realms central to my own project, oddly it is not individual bodies and lives that are at stake; rather, it is broadly defined categories of bodies (and persons) that suffer-such as dying patients, or those on waiting lists. Also, within experimental clinical and lab contexts, both human and animal bodies are regularly reconfigured as generic entities, where virtually any body, or any animal within a species, can stand in for all others of its kind. This is readily evident in images designed to illustrate the placement of a pig's heart or liver within the body of an experimental subject, or the internal workings of a heart pump and its associated drivelines, and how these are best implanted in a chest and abdomen. Moreover, although lab personnel may give experimental animals pet or personalized names (especially if they are large mammals), when spoken of in professional contexts they remain nameless and numbered (such as "Baboon #17") or otherwise coded (by date of birth, cage or pen position, or original breeding colony, for example). Also, certain creatures fit more comfortably with the scientific imaginary than others: whereas dogs were employed in heart device experiments three decades ago, current researchers prefer farm livestock, often regarding past reliance on canine subjects alongside other domesticated household companions as inhumane. Xeno's own history demonstrates, too, that it has long favored chimps and baboons as ideal human matches, only to shift its desires to the promises embodied in the pig as representative of a newly prized source or "donor" species. The human body in turn is confined to highly specific parameters. Both fields test their wares on what are typically the most vulnerable subjects. Sometimes these are bioethically suspect choices, such as adult African-Americans or patients infected with HIV/AIDS or hepatitis C; at other times, they are those most worthy of salvation and thus extraordinary heroics, such as babies and young children (Sharp 2006a, 2011a). Parts, too, are generic: devices come in a limited range of sizes, and fleshy organs are described as if all livers or hearts or lungs universally possess the same dimensions and mass. These extreme forms of reductionism mute more troubling discussions of the moral value of experimentation, where people, animals, and parts are regularly standardized (Sharp 2011b). Furthermore, this is all too often a classless and gender-free world. There is no room (or necessity) for discussions of inequality, whether in reference to something as basic as organ or body size, or as framed by socially significant variables such as race or age or religious faith. As Jackson (2002) underscores, arguments that celebrate the human/technological interface "seldom take into account the numerous contexts in which doubt, anxiety, or powerlessness tend to make people dread such erasures of the line between themselves and others, or themselves and machines" (336). This erasure of discrete bodies and associated subjective experiences facilitates the erasure of patient suffering, too. In at least one sense, bioethical guidelines are culpable: if one adheres to the four-principle approach, then from the start one justifies extraordinarily invasive procedures through the application of rigorous methods for acquiring informed consent (from humans, at least), and the implementation of protective measures (from anesthesia and analgesics for surgical subjects, to housing facilities, exercise, and cognitive stimulation for animals). As I describe elsewhere (Sharp 2009), I have encountered the uncanny assertion that human suffering does not exist as long as clinical staff respond immediately to patients' reports of physical pain. Yet as revealed through the joint effort of photographer Tim Wainwright and sound artist John Wynne (2008) to document VAD implantees' hospital experiences, those patients' quotidian efforts to cope with post-surgical life impose significant burdens and struggles. Some report unusual existential crises, and among the most striking involve frustrating attempts to forget, drown out, or transform the incessant noise emitted by an implanted heart pump, processes that fall into what Jackson references as "the intersubjective imaginary" (338; see also Rice 2003; Wainwright and Wynne 2008). What, then, are we to make of psychic pain or existential suffering associated with inhabiting a body powered by non-natal parts? Whereas scientists' futuristic visions may inspire celebration, a patient who consents to a pig liver or mechanical heart implant, even in the short run, must confront the potentially deeply troubling sense that they are no longer fully human. As Jackson underscores, if deep anxiety and ambivalence affect allograft recipients, the sense of alienation is "undoubtedly exacerbated in cases of xenotransplantation" and mechanical implants, too (338-39; see also Lundin 1999; Lundin and Idvall 2003; Papagaroufali 1996, 1997). This is where moral crises of subjectivity ensue. For experimental patients and their kin, it is simply not enough to say that their willingness to undergo such hardships is justified because currently radical efforts could one day transform into routine procedures that save myriad lives. As long as the patient is viewed as a generic body, more complex understandings of experimentation's moral parameters will be denied or silenced; at the very least, the generic body undermines opportunities to explore intriguingly paradoxical-and nascent-social sentiments about hybrid lives. Just as subjectivity is overshadowed by the generics of the human form, generics is also part and parcel of laboratory animal management, as demonstrated on multiple fronts. For one, a single member of a species must stand in for all others of its kind; moreover, one animal can be replaced by yet another if it falls ill, dies, or is sacrificed; and laboratory animals by definition stand in as generic proxies for humans as a means to test high-risk procedures. Thus, animals are simultaneously expendable and extraordinarily valuable. Indeed, they are specialized specimens: though researchers and lab technicians alike may form strong emotional bonds with particular animals (Sharp 2012), these commodified creatures define lucrative forms of "animal capital," figuring within what Nicole Shukin (2009) labels the "carnal traffic in animal substances" (7). According to Shukin, in such contexts the species divide is "a strategically ambivalent rather than absolute line, allowing for the contradictory power to both dissolve and reinscribe borders between humans and animals" (11). As will become clear in subsequent chapters, the "question of the animal" (11) in experimental transplant science hinges simultaneously on shifting ideas of interspecies proximity or kindredness, the biovalue of one species over others, and the capital gains and, thus, promissory qualities shouldered by one animal versus another. The values assigned to animals, and the morality of their use within science, shift according to the research domain as well as over time when the utilitarian values assigned to certain species enable them to straddle both farm and pharma production. Furthermore, if animals stand in for humans, or if by their mere presence in the laboratory they blur interspecies boundaries, one must also ask, what of human bodies? How, too, might they define a new form of biocapital (Sunder Rajan 2006) when individuals consent to life-endangering experimental procedures (see Abadie 2010) in hopes not only of extending their own lives but also, by giving of themselves (and their bodies), of assisting science in saving others farther down the road? Whereas participation in radical experiments is quite literally a short-lived experience for consenting human (and nonconsenting animal) subjects, the longue durée defines a "field of hope" (Rose 2007, 6, after Franklin 1997). According to Rose, "Hope plays a fundamental yet ambiguous role in contemporary somatic ethics" (135), and in such contexts "hope technologies" (Franklin 1997) may figure prominently. As Rose explains, "within such technologies, professional aspirations, commercial ambitions, and personal desires are intertwined and reshaped around a biosocial telos" where "the maintenance of hope has become a crucial element ... [in the] care for patients with ... life-threatening illnesses" (135). Although Rose's key example involves nursing care administered to cancer patients (see also DelVecchio Good 2001, 2007), the same is unquestionably true where patients await transplants. Under such conditions, "biology has become imbued with dreams of technological reformation," and the quest "to 'reverse engineer' the condition [of suffering] and then to rectify the anomaly or compensate for the missing elements" is evident in deliberate efforts to reshape life, where "biology is not destiny" (Rose 2007, 51) but, rather, malleable through acts of scientific prowess (or, as opponents assert, of scientific hubris). In this light, the transplant imaginary is driven by widespread hopes that accompany futuristic medical pursuits. It is this promissory quality of highly experimental work that both facilitates the erasure of (or, at the very least, muted) accounts of subjective suffering and enables involved scientists to pursue research that may never reach fruition in their own lifetimes. The risks, failures, and longing that fuel experimental transplants ride on a host of "probable futures" (Rose 2007, 70), where each potential outcome informs different moral considerations regarding the virtuousness of various experimental paths. As Lambek (2010) similarly reminds us, "ordinary ethics recognizes human finitude but also hope" (4). A final question for me, then, is what sorts of moral promises emerge under the not-so-ordinary circumstances of experimental research, when a project's endpoint rests not in the near present but on a very distant-and perhaps even unattainable-horizon (Guyer 2007; Sharp 2011c)? In a 2012 New York Times article, Andrew Cameron, the surgical director of liver transplantation at Johns Hopkins Hospital, reportedly insisted that "people who died for want of an organ did so mostly because there were not enough donors, not because of any shortcomings in medical technology. [Through efforts to encourage Facebook users to proclaim their donor status] 'The math will radically change, and we may well eliminate the problem'" (Richtel and Sack 2012). The calculus of organ scarcity, paired with widespread recognition of patients' undue suffering, nevertheless persists, engendering relentless fear and helplessness among those who vigilantly await news of donated matching organs. Among clinicians, kin, and researchers (all of whom must bear witness to the senseless deaths of patients caught up in the sluggish movement of local, regional, and national waiting lists), even highly experimental-and, thus, life threatening-alternatives assuage their fears by inspiring hope. The very technologies Cameron considers blameless are regarded by many others as inadequately innovative, and likewise they see transplant medicine as desperately in need of far more radical interventions if human lives are to be spared. The latter configuration of the politics of hope rests heavily on the promissory qualities of "technological reformation" or efforts to "reverse engineer" human suffering (again, see Rose 2007, 51) through experimental efforts to overcome the diseased or flawed aspects of human bodies. Within the transplant imaginary, patients shed personalized medical histories and are devoid of dense networks of kin and friends. That is, within the paired realms of xeno science and bioengineering, subjective experience vanishes, rendering individual suffering invisible. Patients' bodies are abstracted, supplanted by generic categories of affliction framed in turn by the effects of cardiac disease, pulmonary failure, or insulin or dialysis dependence. One also encounters such radical alternatives as primates and "humanized" pigs bred for altogether different forms of human use and consumption, and a host of other astounding, miniaturized gadgetry designed not simply to augment or replace ailing human parts but to outpace their abilities and usefulness. Without question, the transplant imaginary is intently focused on the remaking of the human form, where radical experimentation is framed as an inherently moral pursuit. Moral thinking in experimental transplant science is driven only in part, however, by "if only" statements or a "what if" line of questioning. The promissory nature of radical body tinkering also exposes competing anxieties about body integrity, the malleability of the human form, the limits of suffering, and the sociomedical dangers of embodied hybridity. In public domains, xeno scientists and bioengineers regularly celebrate the liberatory possibilities borne by their efforts to refashion diseased bodies. Yet the "ordinary ethics" of radical experimentation raises still other disquieting questions regarding experimental prospects. For instance, what are (or should be) the limits of body tinkering? Where does the boundary lie between human and animal vulnerability? What are the social consequences of surgically enhanced hybridity? Highly experimental science does indeed instill heightened moral alertness. In response, ethnographic investigation facilitates the tracking of scientific morality-in-the-making (see Banner forthcoming) and not simply at the center but at the boundaries-or in those tentative zones-where experimental ideas, products, and associated values proliferate. As I demonstrate in the following two chapters, by tracking the "ordinary ethics" intrinsic to laboratory life, one encounters richly textured moral worlds inhabited by scientists who reimagine, reconfigure, and remake the human form. In The Transplant Imaginary, author Lesley Sharp explores the extraordinarily surgically successful realm of organ transplantation, which is plagued worldwide by the scarcity of donated human parts, a quandary that generates ongoing debates over the marketing of organs as patients die waiting for replacements. These widespread anxieties within and beyond medicine over organ scarcity inspire seemingly futuristic trajectories in other fields. Especially prominent, longstanding, and promising domains include xenotransplantation, or efforts to cull fleshy organs from animals for human use, and bioengineering, a field peopled with “tinkerers” intent on designing implantable mechanical devices, where the heart is of special interest. Scarcity, suffering, and sacrifice are pervasive and, seemingly, inescapable themes that frame the transplant imaginary. Xenotransplant experts and bioengineers at work in labs in five Anglophone countries share a marked determination to eliminate scarcity and human suffering, certain that their efforts might one day altogether eliminate any need for parts of human origin. A premise that drives Sharp’s compelling ethnographic project is that high-stakes experimentation inspires moral thinking, informing scientists’ determination to redirect the surgical trajectory of transplantation and, ultimately, alter the integrity of the human form. Lesley Sharp is Ann Whitney Olin Professor of Anthropology at Barnard College and Senior Research Scientist in Sociomedical Sciences at the Mailman School of Public Health, Columbia University. She is the author of Strange Harvest: Organ Transplants, Denatured Bodies, and the Transformed Self.